Writing proposal to new donor is always a challenge, and even more so if it’s about innovation. However, there is certain technique you can employ to increase the success rate. Below interview with YEU reveals how they learned to write effective proposal through their journey. The information on the call for proposal from Humanitarian Innovation Fund (HIF)/Elrha was first shared by ADRRN Tokyo Innovation Hub(ATIH) to its members in May 2017. YAKKUM Emergency Unit (YEU) proposed an innovation to address the impacts of climate change in rural farming community with the title “Climate Adaptive Farming in Drought Prone Areas”. 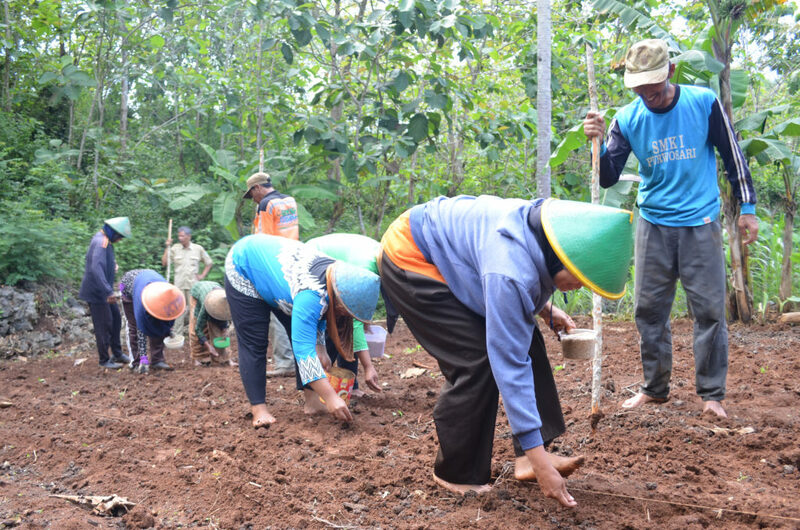 Target communities are going to be introduced to applicable technology and seeds propagation to improve their resilience capacity in drought prone areas in Gunungkidul District in Yogyakarta Province. There was an opportunity for the proponents (interested organizations) to strengthen the proposals in the innovation workshop convened in Jakarta, July 2017, where each organization was given space to convince the HIF ADRRN Tokyo Innovation Hub(ATIH) advisors that the project represents new approach in delivering humanitarian aid. YEU benefitted from the workshop since it gave us direct feedback to improve the proposal, better articulate our program design and strengthen linkage of the intervention with the resilience initiatives. The advisors from HIF and ADRRN, who gave feedbacks to our proposal during the workshop, particularly emphasized the sustainability and the value for replication to different areas or contexts in Indonesia. YEU seed funding proposal was designed to include close collaboration with Local Government Unit (LGUs) as its partner in the implementation and also for sustainability strategy, i.e. District Agriculture and Food Agency and Agriculture Extension Agency. Knowledge transfer scheme from the target groups to others was included with measurable baseline and endline to provide evidence on the possible replication. 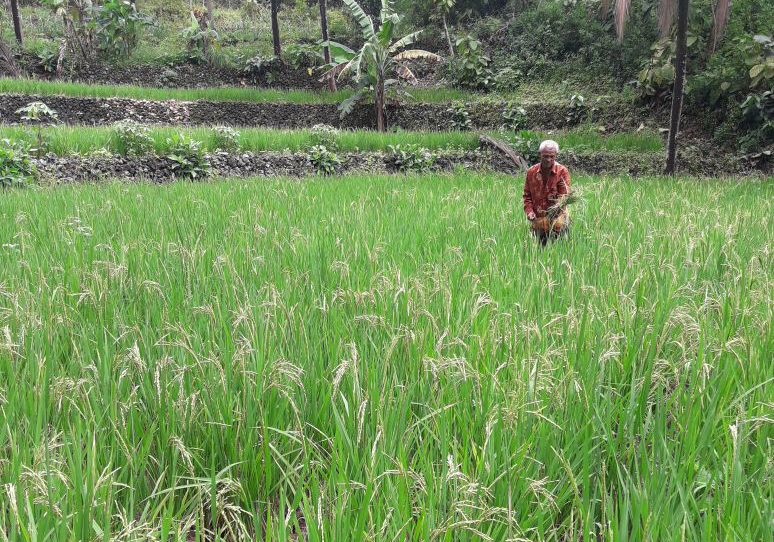 YEU has been assisting the target community since 2016 for the initiation of climate adaptive farming and plan to scale-up the intervention with new approach to agriculture innovation to tackle the drought occurrences through HIF seed funding. YEU based its seed funding proposal from the previous risks assessment of the target groups. What challenge did you face in preparing the proposal? The proposal for technology and innovation in addressing climate adaptive farming has been carried out in several countries with their respective approaches. Thus, we needed to convince the panelists and HIF committee on how our proposal is different from the other similar projects. The seed funding proposal was designed to initiate collaboration with the LGUs on how to assist the farmers with new farming innovation/method, as well as how the innovation can be considered in the preparedness plan and climate-related agriculture plan in the district. Consultations with the District Agriculture and Food Agency and Agriculture Extension Agency were carried out in order to formulate the appropriate applied innovation as well as the cost-efficiency strategy through contribution from the partner and the target groups . How did you feel after submitting the proposal? YEU was confident with the proposal as it has been reviewed by the advisors and panelists and we were able to incorporate their inputs in the revised version. YEU also based the seed funding proposal from the previous risks assessment which gave much information and consideration on the design, and also consulted the necessary actions with the LGUs partners. YEU was also able to meet the due diligence process accordingly. Including the case of YEU, below 5 factors were identified through the analysis of comments by evaluators of the seed funding provided by the Humanitarian Innovation Fund. This is so basic and anyone would understand, but still not practiced. In case of the funding scheme of ‘humanitarian innovation,’ it has to do with both humanitarian and innovation. In order to understand you may want to visit the website of the donor and find out the definition. Because what you propose is something no one has ever done before, it requires some evidence, or baseline data to convince evaluators that the problem is significant and needs to be solved. There is too often the case that your argument focuses on how interesting the idea is, but fails to convince you have the capacity to realize the idea. So is the partnership. It would be difficult to articulate what role your partners can take if you have not discussed with them. This is particularly true for those who are not used to so-called ‘innovation fund’ or ‘challenge fund’ type of funding scheme. You need to be very clear that the funding body expects high value-for-money proposal. This usually comes low priority in preparing the proposal because you are so taken up by constructing your argument. However, the funder will definitely look at the risk of the proposed project.